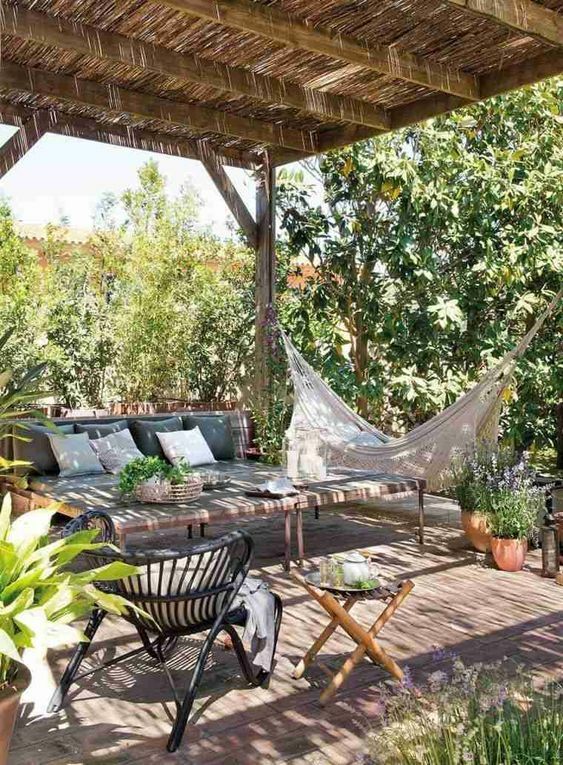 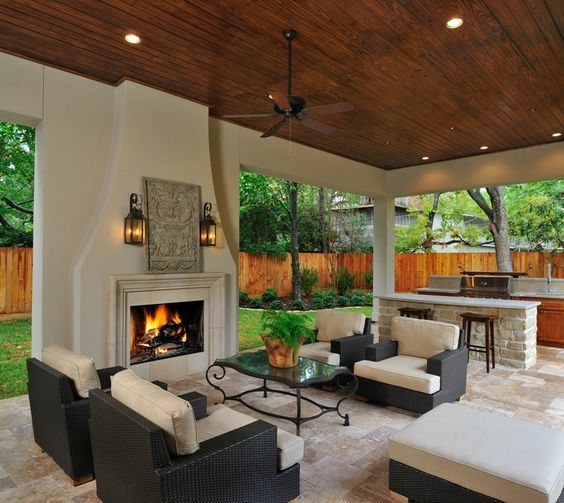 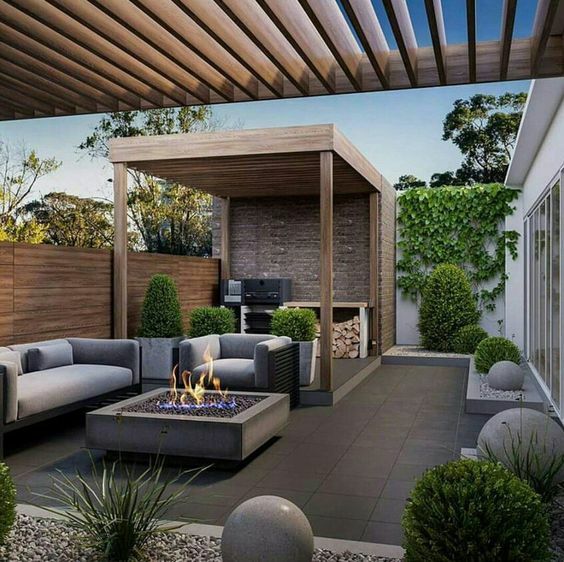 In preparation for this upcoming Spring and Summer months, lets take a look at some cool outdoor living areas! 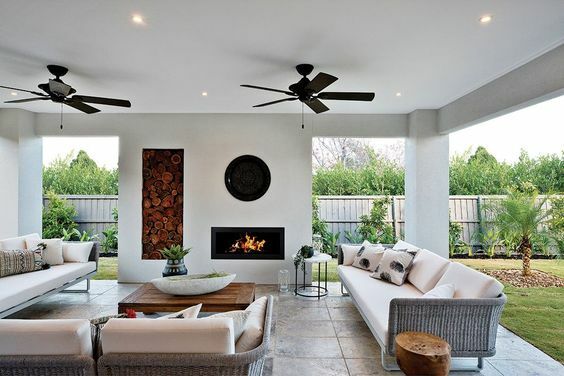 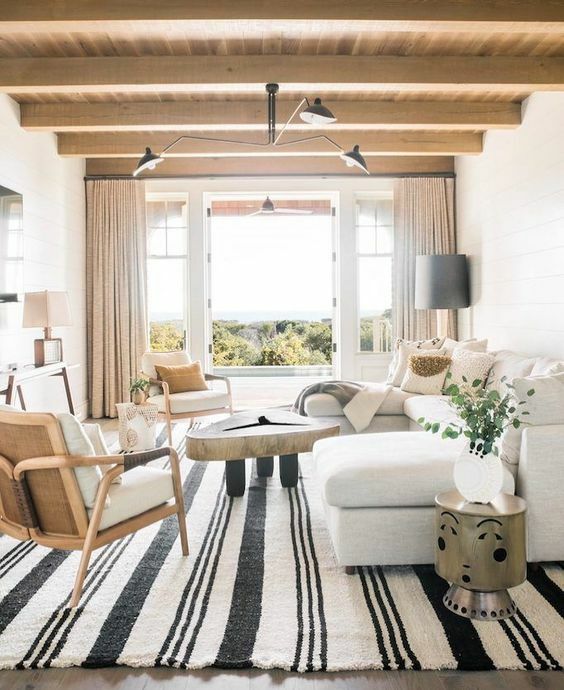 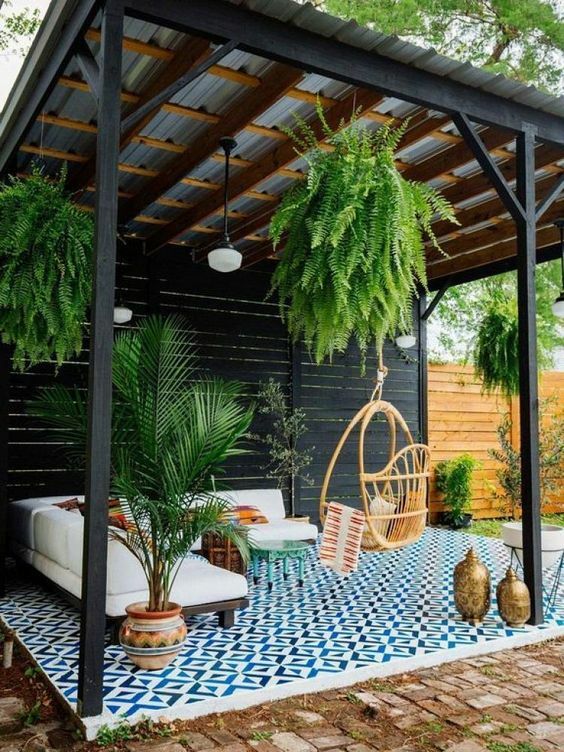 Whether its adding another entire space complete with furniture, fire pits and kitchens or just an addition to the back patio, kickstart your creative thinking with these shining examples. 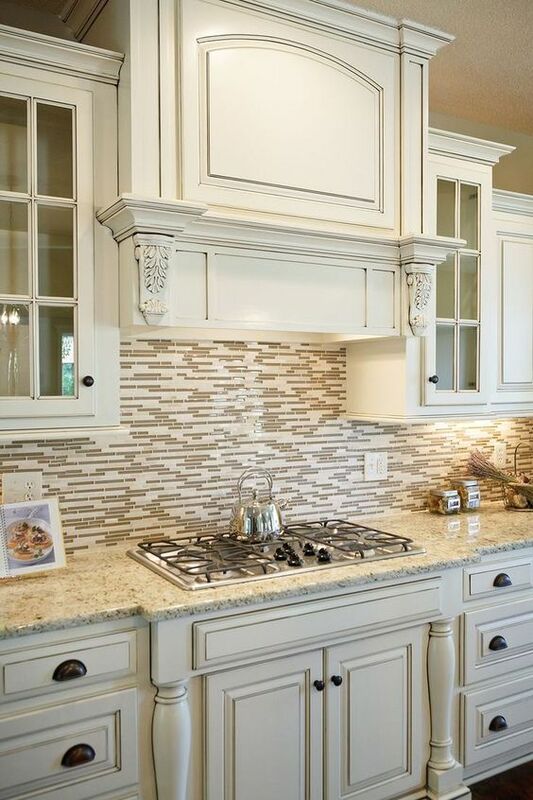 Updating your kitchen backsplash is a good way to revive the space and give it a fresh look. 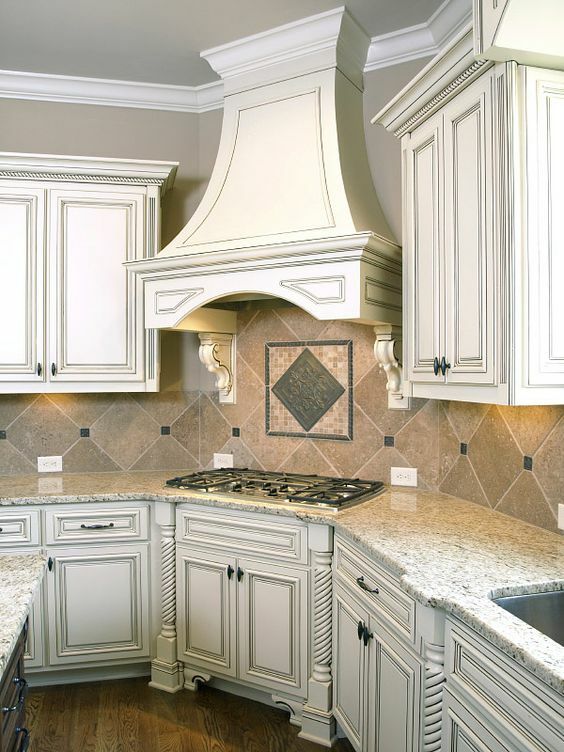 Especially if you have a tract home, this is a good way to make your kitchen stand out on resale. 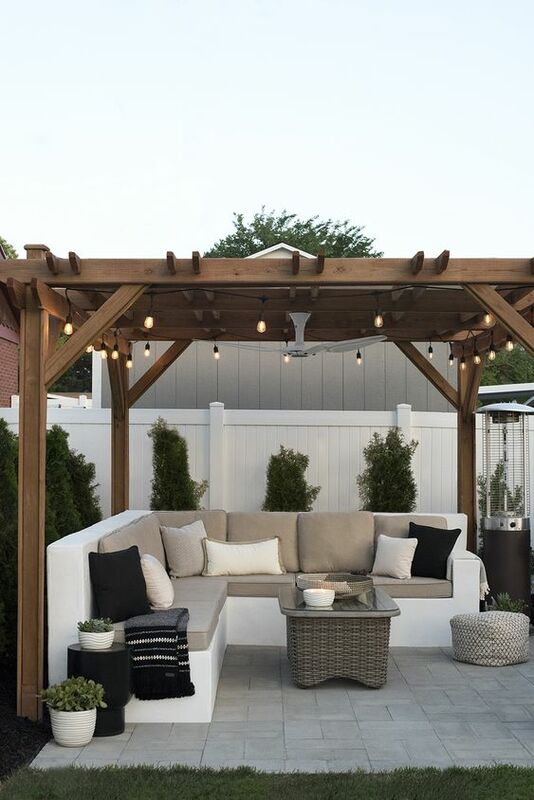 For the best results, don’t DIY unless you really know what you’re doing. 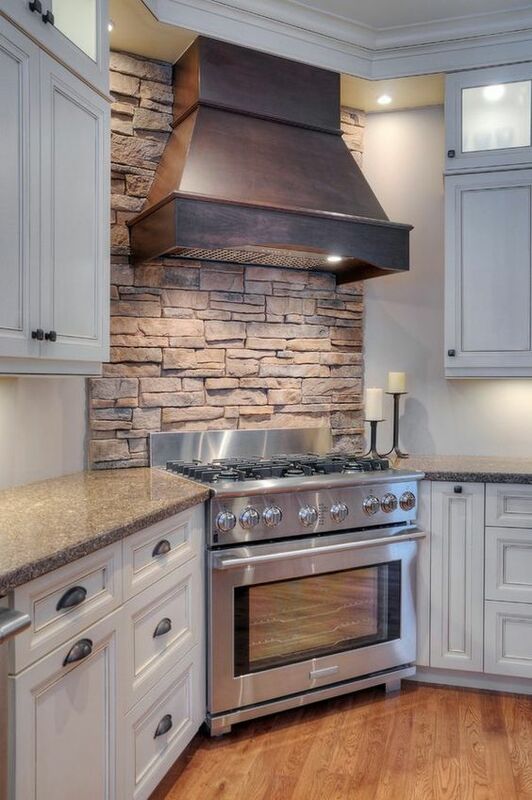 Always work with a professional: we’d be happy to recommend some. 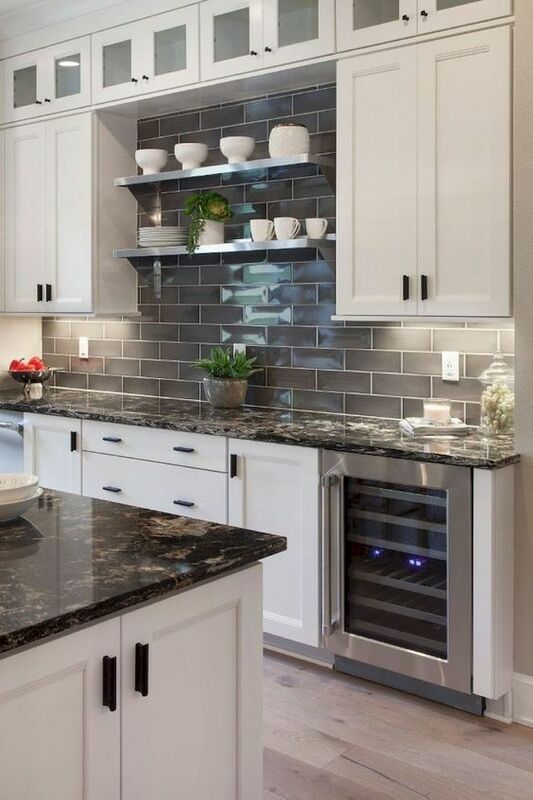 And if you’re planning to sell your home in the future, don’t get too crazy with the tile design. 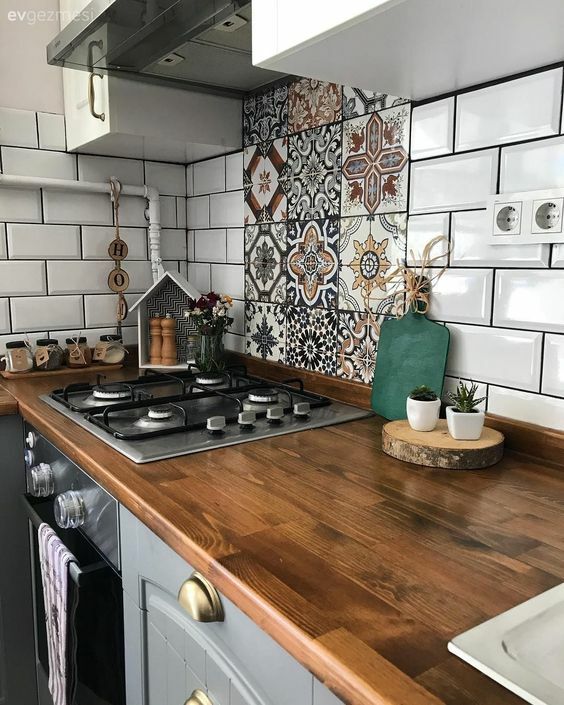 It may turn off some buyers who can’t look past the tiles in the kitchen or who don’t want to invest the money to change it. 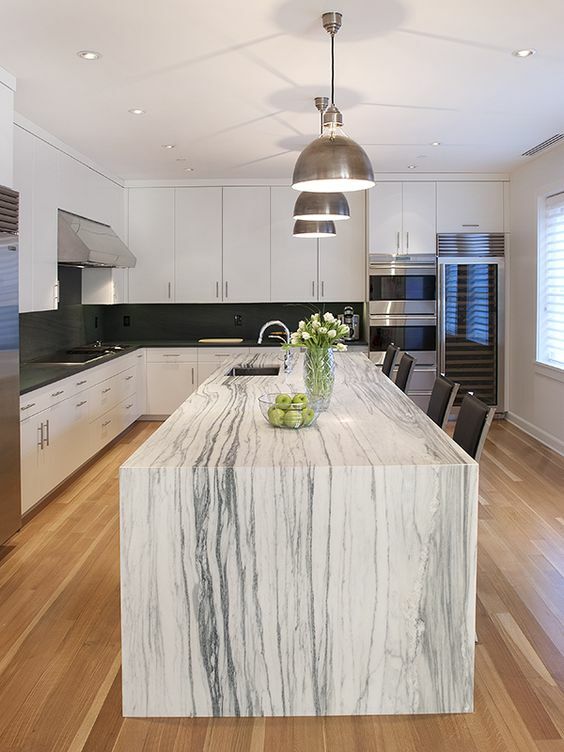 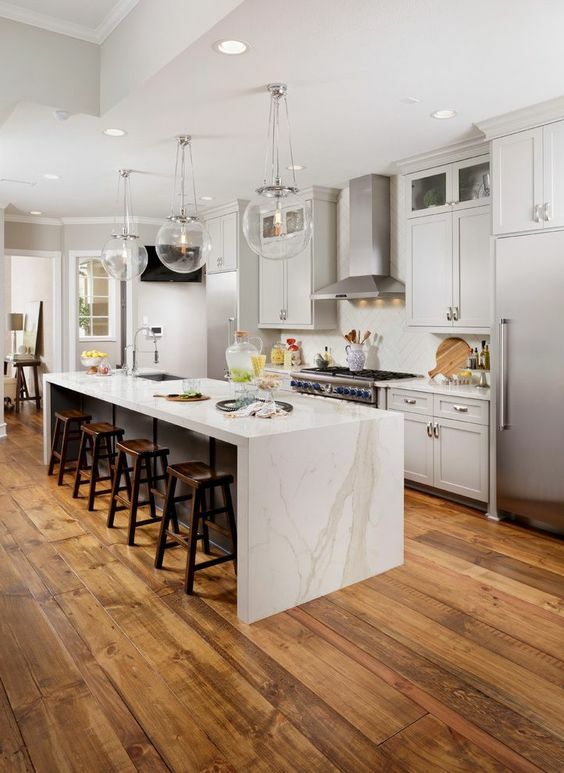 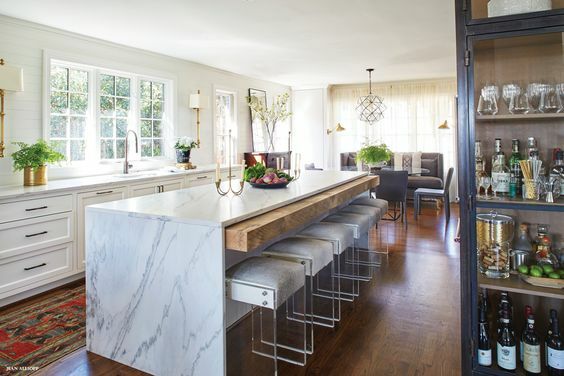 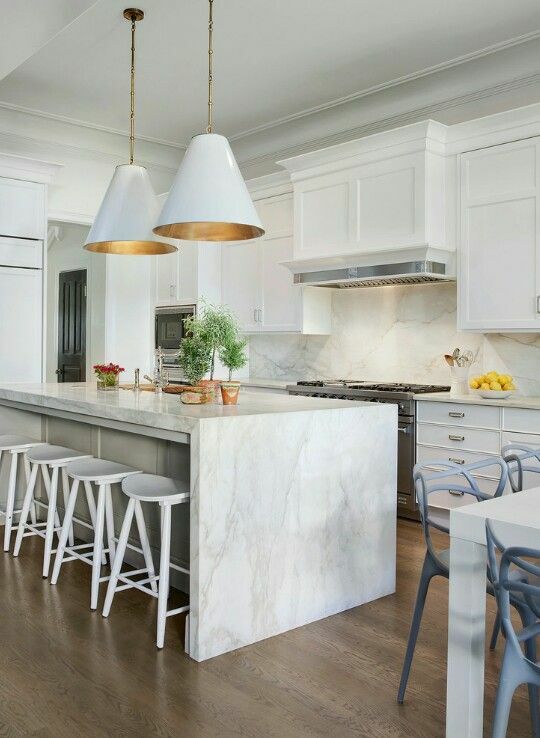 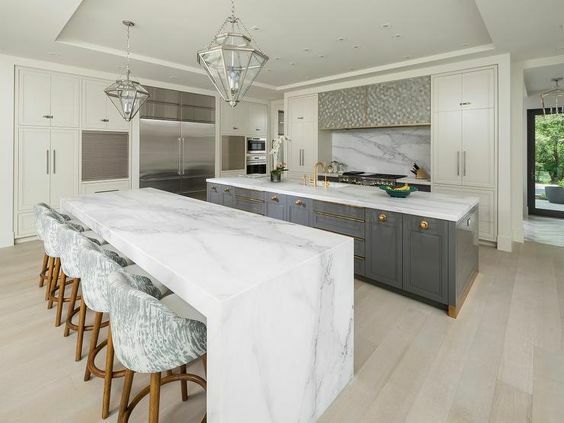 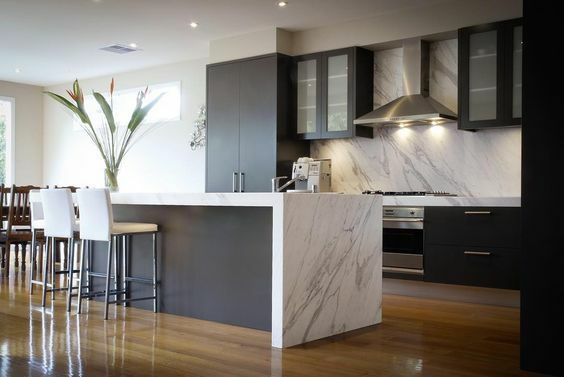 Marble Waterfall Kitchen Islands are a beautifully contemporary addition to your kitchen, and a popular trend to consider for your renovations! 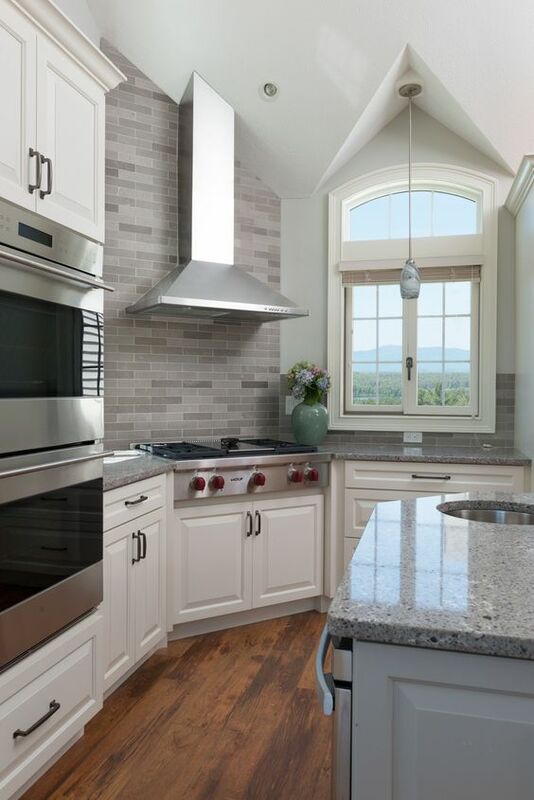 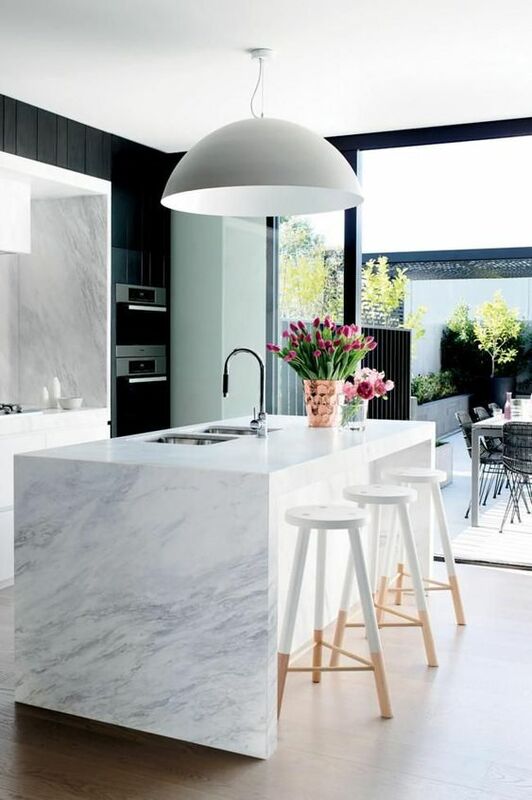 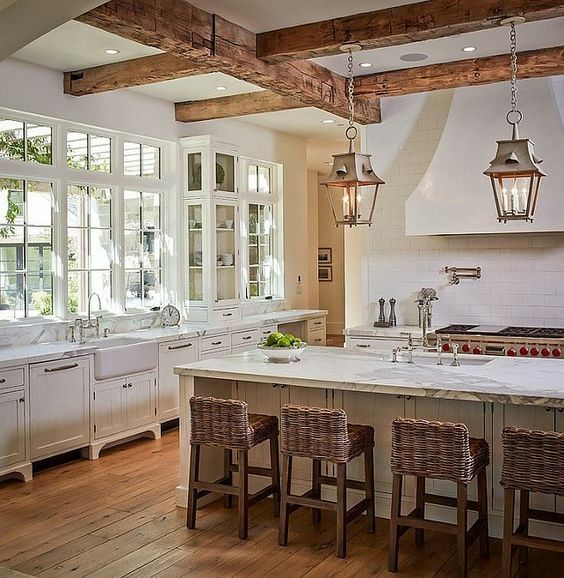 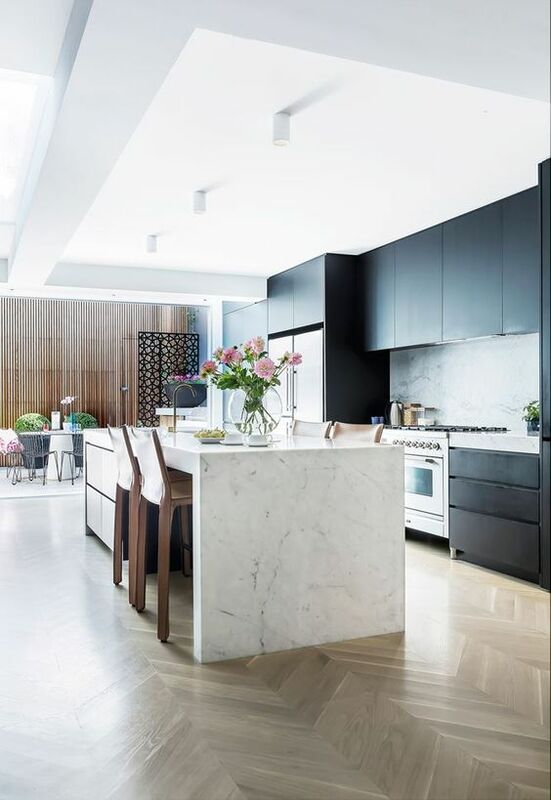 Here is some inspiration to help you design the perfect kitchen! 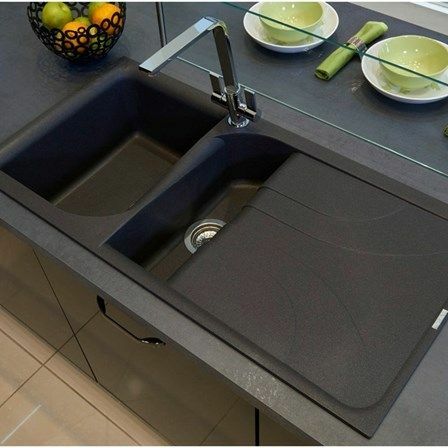 Granite composite sinks are incredibly durable and stain resistant while also providing a sleek and modern environment to any kitchen. 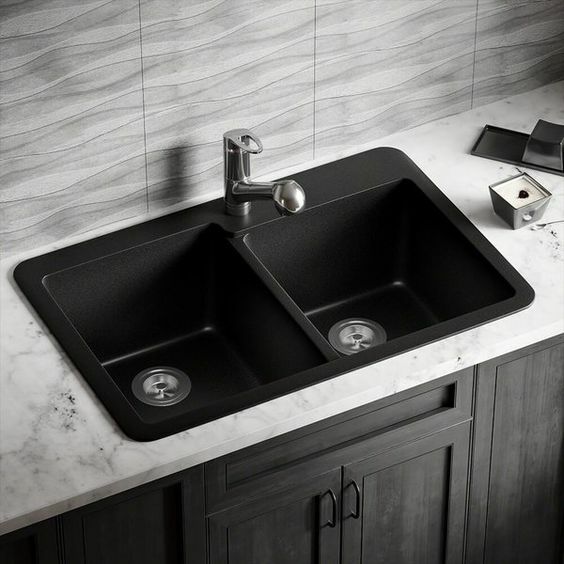 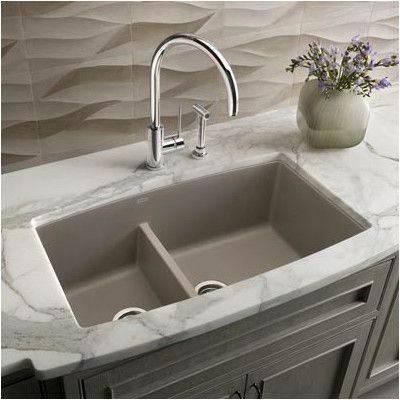 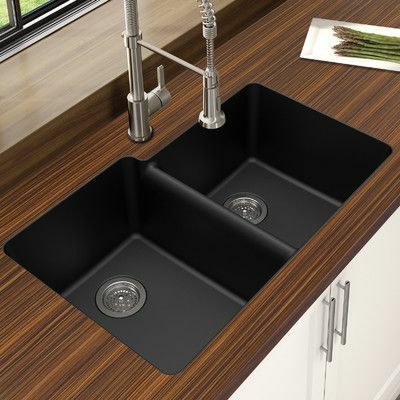 If you’re considering a granite composite sink, they are heavier than stainless steel sinks, so you may want to consider adding structural support to accommodate for the extra weight. 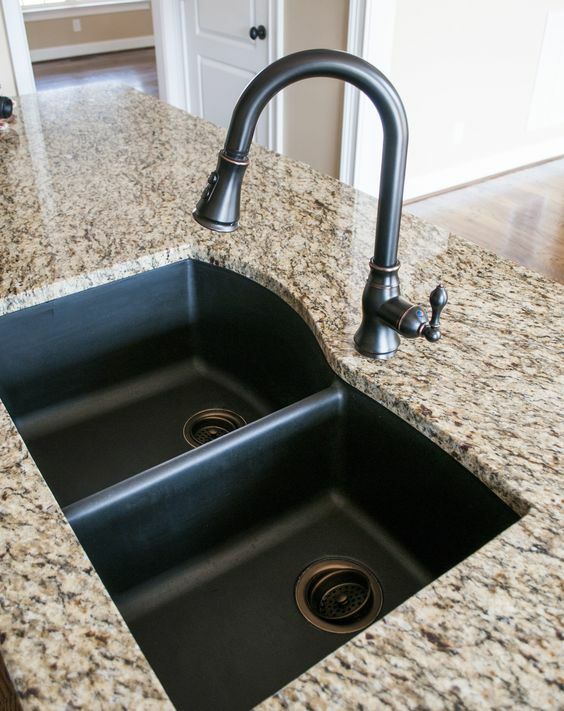 Take a look below at a few granite composite sinks for inspiration! 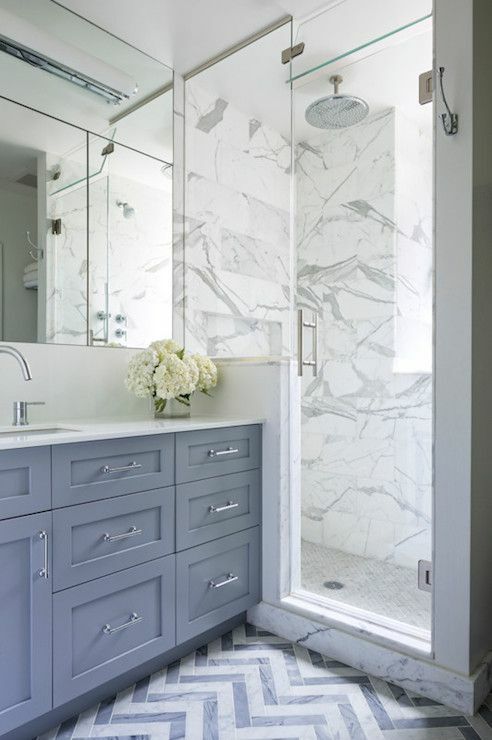 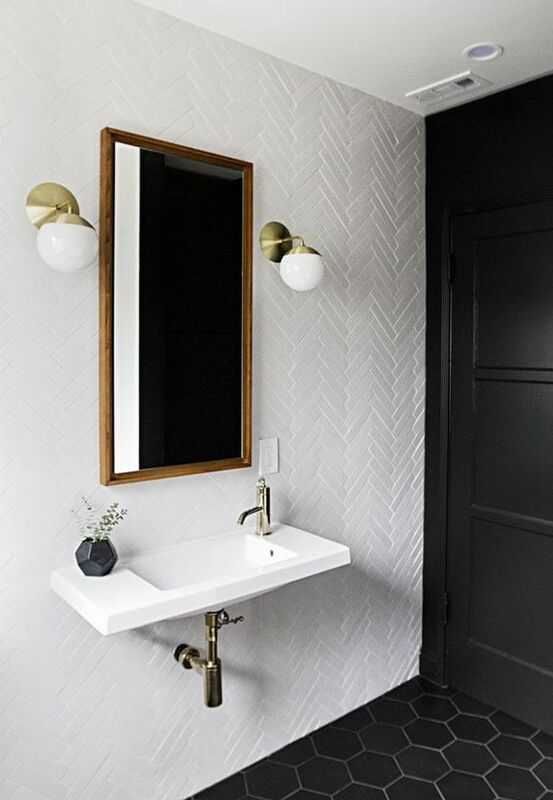 Chevron tile is one of the most popular design trends for homes at the moment. 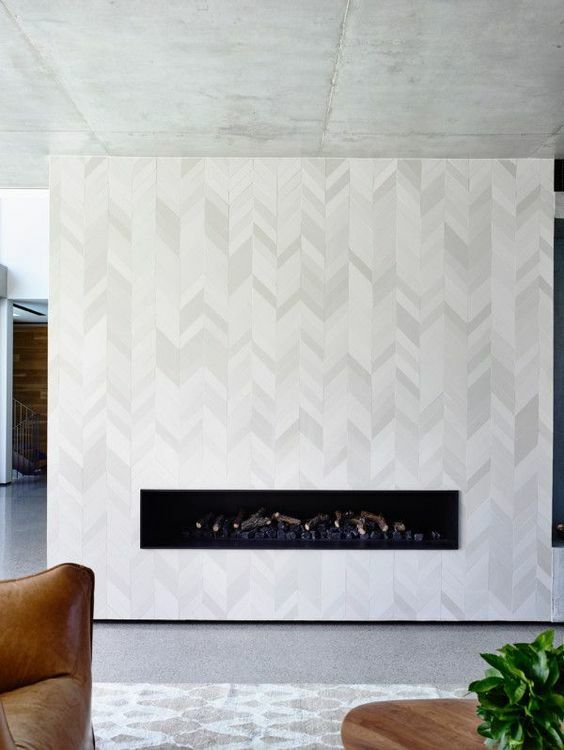 Chevron is a zigzag pattern that comes to a sharp point: imagine the letter “V” on repeat. 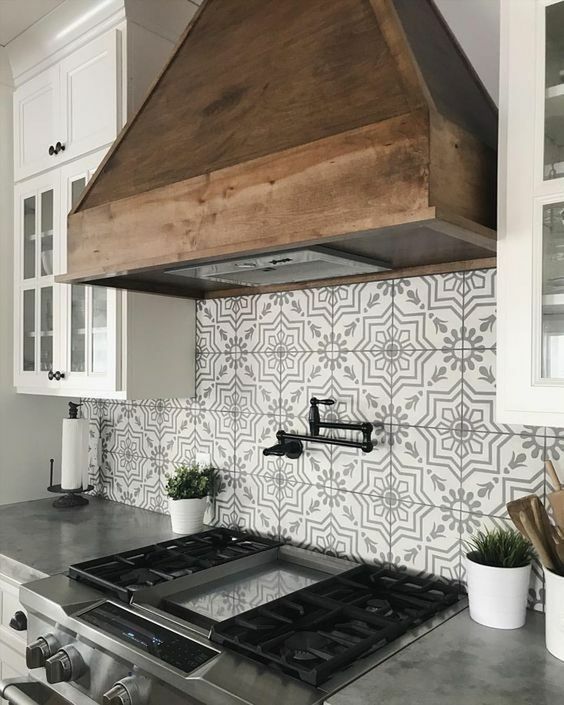 The neat way the tiles fit together, the sharp central line where the V meets, and the textured zigzag horizontal pattern all work together to make this tile pattern super chic. 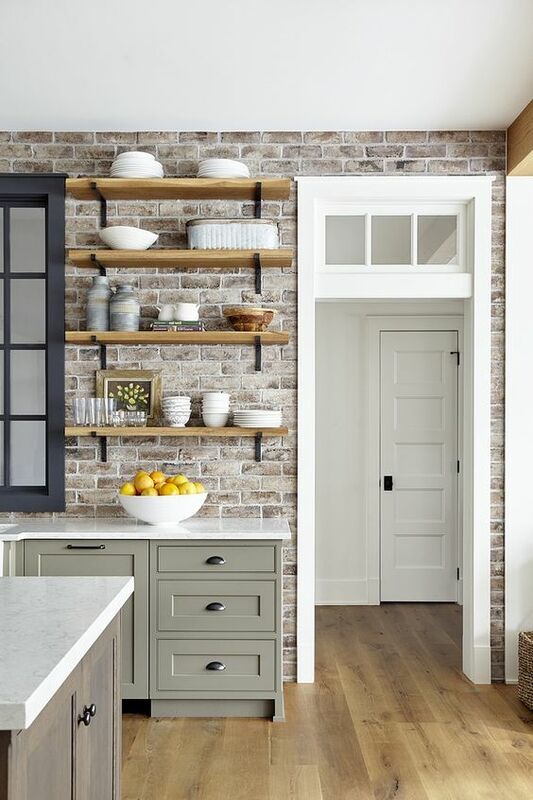 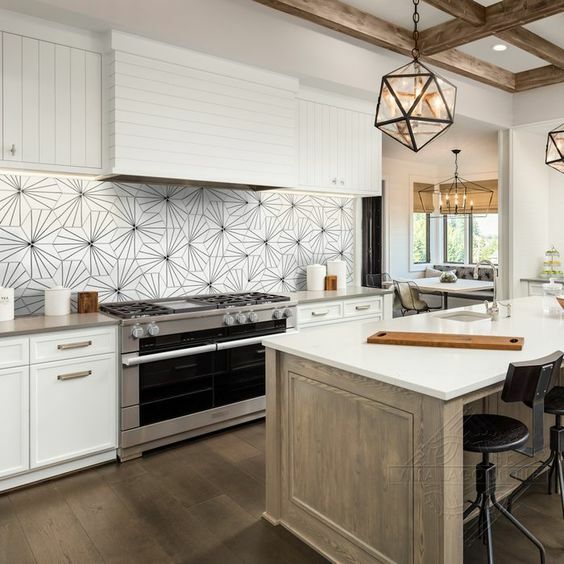 Using slightly contrasting tiles colors to subtly define the zigzags, or blending block-color tiles with wood-look ones are very on-trend ways to work this look. 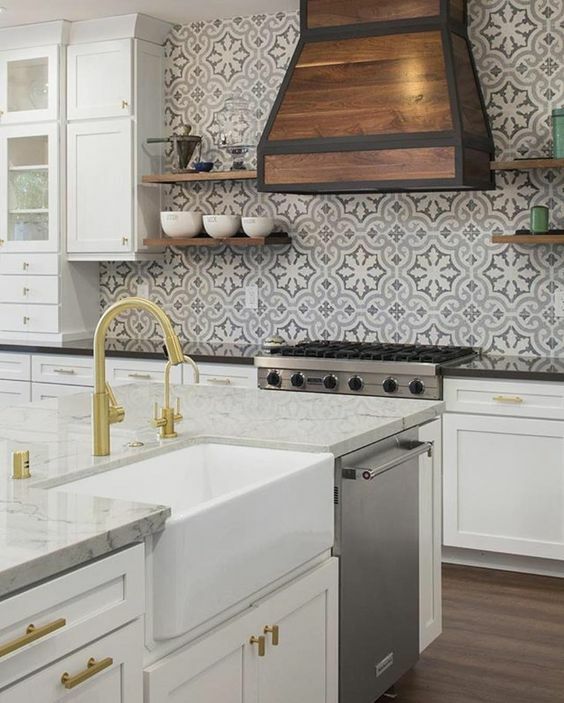 Chevron tile can be used in flooring, on a backsplash, in rugs, or even on your walls!